I mainly use Typescript at work and I really appreciate the type safety it provides. Combine it with the awesome Visual Studio Code and you're in for a treat. Another well done language by Microsoft. Polyglot developer, loves programming, constantly learning! I'm a full-stack developer interested in functional programming and statically-typed languages. The geek in me thinks that the world needs more Elm. I got started using typescript to write VS Code extensions such as Power Mode. I now mentor use it daily in my role as a front-end developer and mentor others on my team as we migrate more and more of our codebase to typescript. I have written TypeScript as part of various frameworks, open source projects, and profesionally. 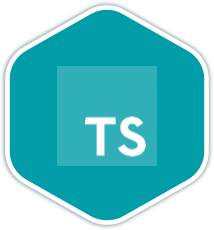 I've also taught TypeScript via webinar and tutorials that were part of my weekly dev-based webcast. Please feel free to ask me any questions! As a believer in the communicative power of type systems, I think TypeScript has an opportunity to bring lessons learned in other communities to the world of front-end web development. I'm a career changer (used to be a telecommunication Engineer), always up for learning new things and helping along the way. I got introduced to Typescript through the Angular 2 alpha and since then, I've been using it for projects at and outside of work. I'm a huge fan of the typing system and miss it when I'm working in other languages. I'm a fullstack developer working mostly with Node and Angular. I've been tracking TypeScript evolution since version 1.8 and I've used C# for most of my career, so I'm no stranger to types! Irish software engineer. Focused on the web platform. I am Frontend engineer in the telecommunication company. I work with Angular and Typescript on daily basis. I love to learn and also teach. I'm a sofware architect & engineer and I love to share knowledge, because I think that everybody should be able to learn how to develop software.